Another day - another sneak peek!! These two new masculine stamp sets are coming out tomorrow at Waltzingmouse!!! ... " Free Spirit- Boy" images and "Free Spirit Sentiments". 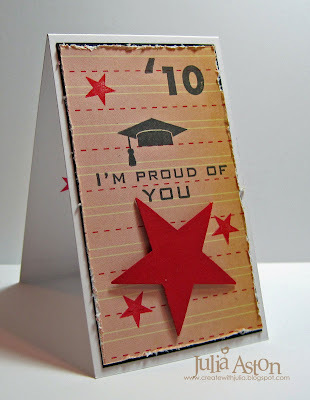 Today I have another graduation card to show you - this time using the little graduation cap, the star and some of the numbers (0-9 included in the set). I made this from a piece of card stock measuring 8.5 x 2.5 folded in half so it's a little narrow guy! 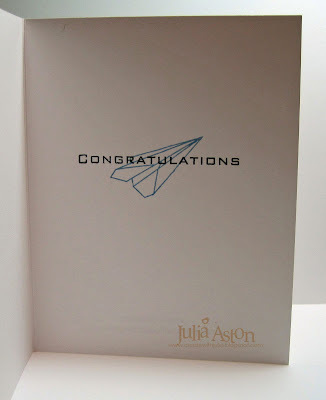 And here's what I stamped on the inside - short and sweet with plenty of room to write a personal note to the graduate! Several of these could be whipped up in no time and you could use the particular school colors for each graduate you need one for! 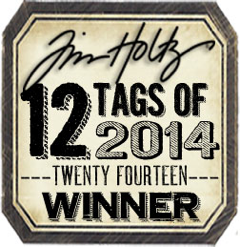 Be sure to check back tomorrow for release day - We'll be having a Design Team Blog Waltz (ie hop!) showing even more fun ideas for these new sets!! and there will be stamp sets to be won!! How often have you wanted to say this to your little tyke or grown son?! Well, this is the perfect stamp set to do it with! I just love these neat racing cars don't you! I thought they looked fun stamping them in multi colors! And the word 'son' is a separate stamp. There's also 'dad' 'uncle' brother and man' so you've got all the bases covered!! I drew my black outline border with a Micron 01 fine tip pen. 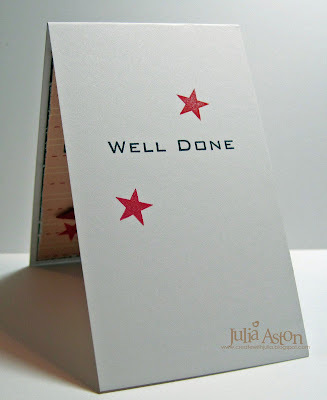 Inside I stamped the sentiment as well as multicolored stars to match the cars on the outside of the card. 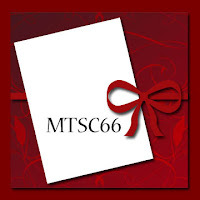 Another clean and simple masculine card - this one measures a small 2.5" x 4.25". Both of these great stamp sets will be available at Waltzingmouse Stamps on April 1! I'll be back tomorrow with another sneak peek (I just can't put these stamps down! LOL!) so hope to see you then! I'm so excited to be sneak peeking two wonderful masculine stamp sets that will be available on April 1 over at Waltzingmouse Stamps! Claire really has her finger on the pulse of us stampers and knew we needed a set for little to any age guy events! Today I used this wonderful cluster of circles stamp (that looked like clouds to me) and I've got the stamped and cut out paper airplane soaring through them. This would be great for any age graudation from kindergarten right up through college or even for someone starting a new career! 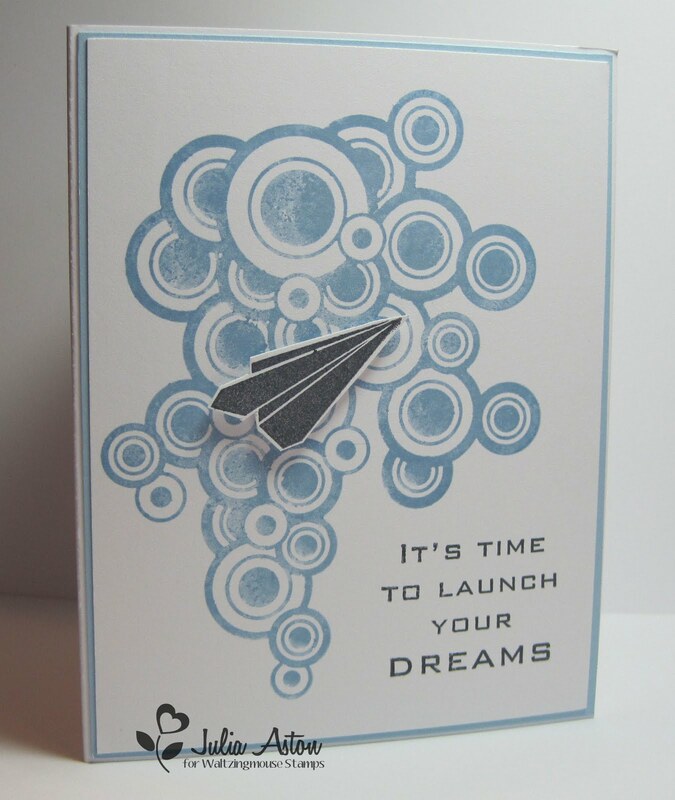 Inside I stamped the outline paper airplane right over the sentiment! The new image set is called "Free Spirit - Boy" and the sentiment set, that includes birthday, graduation, congrats, miss you and tons more, is called "Free Spirit Sentiments". Both will be available on April 1. 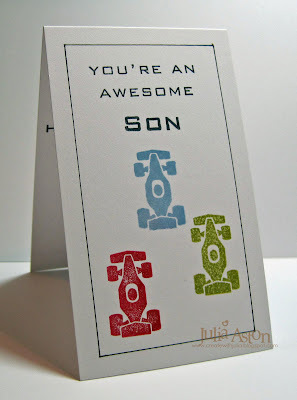 Guy cards are kind of fun to do - being that they are usually made clean and simple - no buttons or bows for the boys! Check out the other DT members who are doing sneak peeks today too! I'll be back tomorrow with another peek for you so please check back! So maybe I do have a story after all!? 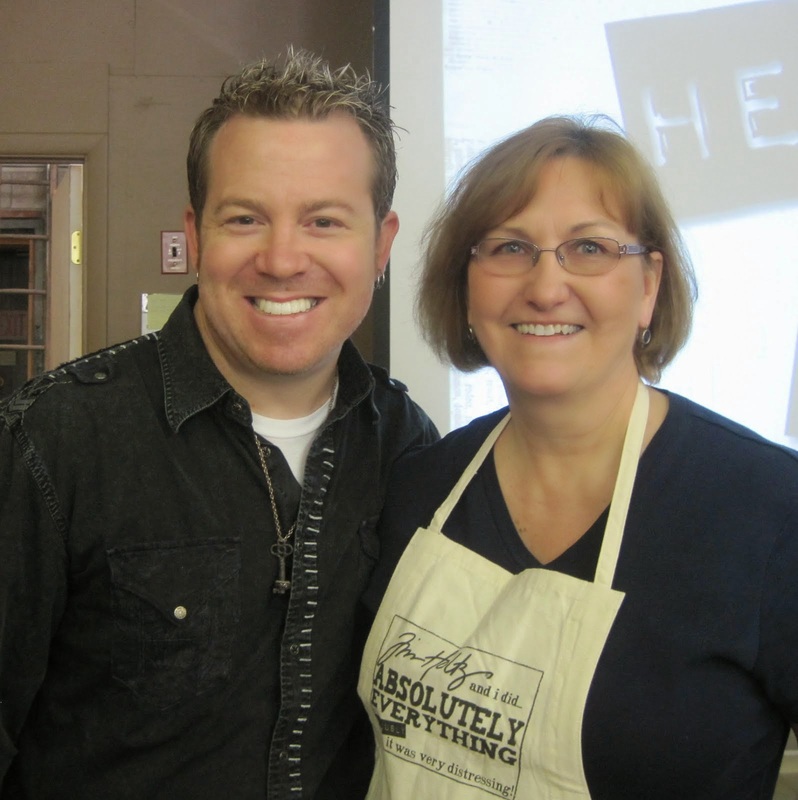 I've got a really busy weekend coming up - Kent and I are going to a play on Friday night, a matinee play on Saturday and then Sunday is Palm Sunday so there'll be church and my Easter craft sale after services. So you may not hear from me until Monday when I'll be back with a sneak peek for a new Waltzingmouse set coming out on 4/1!! Whoo hoo! Claire will have her own sneak peek on Sunday so check that out too!! this first card. 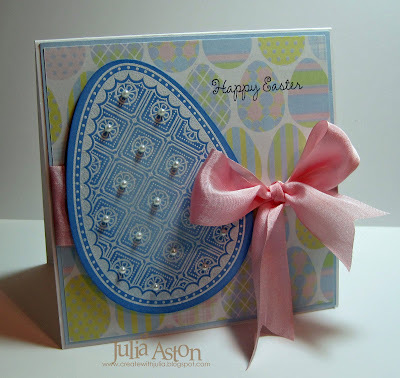 I white embossed this beautiful Waltzingmouse egg stamp on blue card stock. Then I sponged the outside edges with blue ink and added sticky pearls. 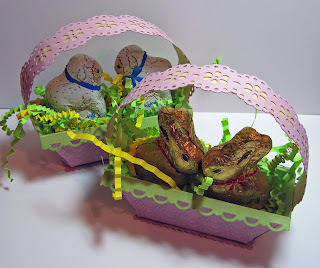 I tied a pink silk ribbon around the egg patterend paper and popped the egg up on foam dimensinals. I loved the embossed egg so much I decided to make another one! 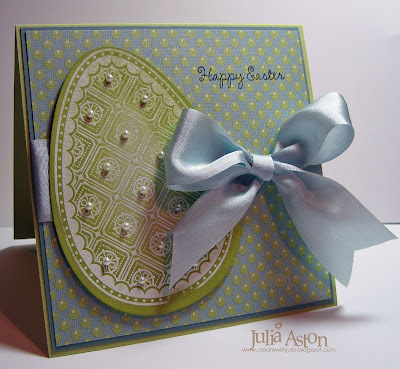 So I embossed a second egg on green card stock layered over Amy Butler paper and tied with green silk ribbon. I just noticed that the top pearl fell off somewhere between my work table and taking the photograph!?! and then I made a third card using another green egg but changing the ribbon to blue - it changes the whole look of the card doesn't it? And now I have 3 cards for Easter!! Nice egg, huh??! Accessories: sponge, white ep, hot gun, stamp simply silk ribbon, rhinestone stickers, foam dimensionals, Nested eggs - Spellbinders. The Clean and Simple challenge over on Split Coast this week was to show something about New York City - skyscrapers, broadway, nightlife etc . I have always loved the Stature of Liberty and I have several stamps of her - so I knew just what part of NY I would have on my card. 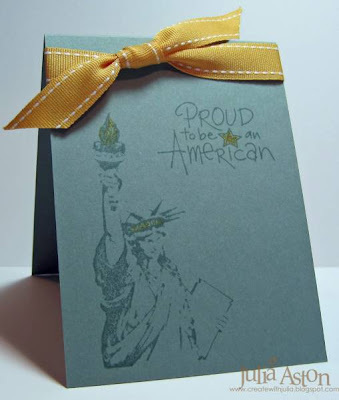 I stamped Miss Liberty and my sentiment with Ocean Tides ink directly on the Ocean Tides CS. I used a gold Spica pen to highlight the flame, the star and the rim of her crown. It looks shimmery IRL, not so much in the picture! Then I just tied a ribbon around the top - clean and simple! Don't forget the sale over at Rubbernecker - it ends tonight at midnight! Dave is offering 15-28% off on selected items from Ranger, Spellbinders, Tsukineko and Clearsnap! - so be sure to check it out before it's over! Remember to check out the WMS sponsored Inspiration challenge over at Stamping Around - you could win a WMS Sewing Box Hugs stamp set! 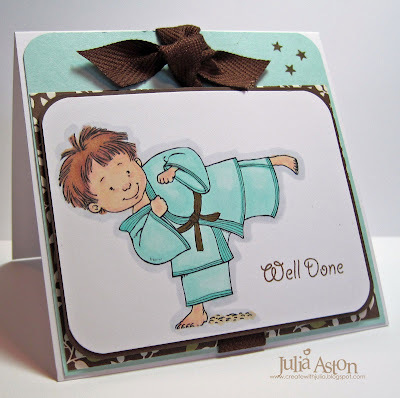 If you live anywhere near Hampton, NH - hop over to Stamping Around and sign up for the fun weekend they are planning for 4/16-4/17 - I'll be teaching a class there using WMS stamps and Lauren Meader will be there teaching too!! There are still some spots open and I'd love to get to meet you!! Here Comes the Easter Bunny!..... and a little lamb! A fun Free for All challenge at Split Coast on Friday - to make a 3D basket using the colors of plum, celery and banana. I made my handle using a Martha Stewart lacey punch and I put a strip of yellow CS behind it so it shows through the holes in the lace. The base is a narrow scalloped rectangle Nestability. I'll be making 10 of these to sell at my church Easter Sale. 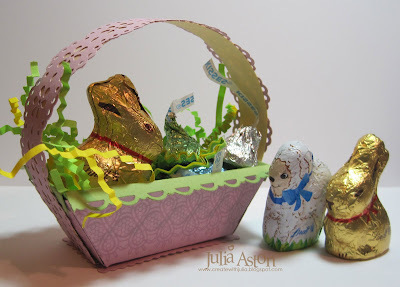 Aren't these little Lindt bunnies and lambs adorable!? They fit in my baskets perfectly don't you think?! Kent and I met up with friend and fellow Stamping Around teacher, Donna and her DH, Doug yesterday - we had a great meal at The Old Salt Restaurant in Hampton, NH. Donna and I will be teaching at the next Stamping Around weekend at Wholly Scrap in North Hampton, NH 4/16-4/17 We'd love to meet you there!! 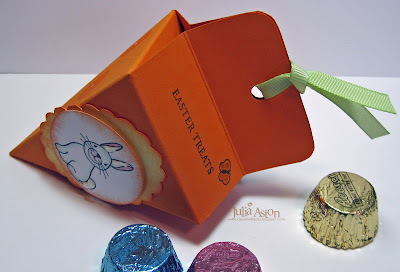 This is also qualifies for the Our Creative Corner challenge to think Easter! Playing Dress Up and a Sale! I made this card for two challenges over on Split Coast this week. First - for the Tuesday Teapot challenge we learn that all Flat Footed Ruby wants is a pair of high heels to wear so she will be cool and beautiful! and that her jealous brother Swoop wants something manly - so I have two pretty high heel shoes for Ruby to try as well as her flats in case she realizes that high heels aren't all they are cracked up to be and often hurt your feet!!! And the drink is for Swoop so he can cool his jets while Ruby is trying on all the shoes! I'm also CASEing Mutnik's butterflies card because she was appointed by Anne Ryan to be the unofficial Queen for a Day at Split Coast!! 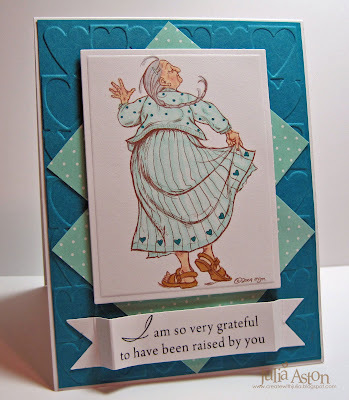 Cathy is a wonderful card artist always adding her special artistic touch to all of her creations! And here's where the 'SALE' part comes in! Dave is having a great sale over at Rubbernecker Stamps from now until midnight Wed March 24th (15-28% off on selected items from Ranger, Spellbinders, Tsukineko and Clearsnap!) so be sure to check it out before it's too late! I've been stamping up a storm in my craft room this week making some sneak peeks for Waltzingmouse Stamps that I'll finally be able to share with you starting Monday so be sure to check back!!! There's some fun stuff coming out!! 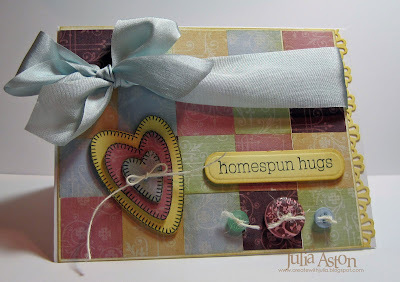 And - remember to check out the fun WMS Inspiration challenge being held over at Stamping Around - you can win Claire's Sewing Box Hugs stamp set!! Happy St. Patrick's Day! Everyone is Irish today right?!? LOL!! 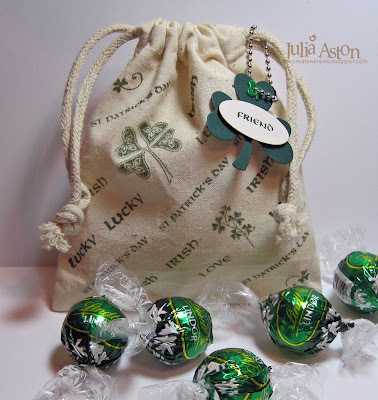 And WMS is celebrating with a customer blog hop over on the Waltzingmouse Forum I'm so thrilled with how my treat bag project came out today! I have had these nice little canvas bags for over a year but have been afraid to ink them not knowing if the images would look good when I stamped them on the cloth. I got my idea from a project I saw last year on Denise's blog. But I decided to just bite the bullet and give it a try and I'm so glad I did! The Staz On ink worked just perfectly with Claire's quality clear stamps. 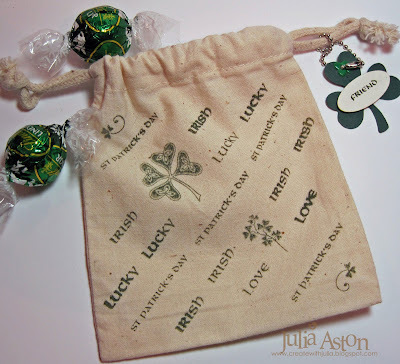 I used words and shamrocks from two different WMS stamp sets - Irish Blessings and Celtic Heritage. Here it is flattened out so you can see just what I stamped and how I lined it up. 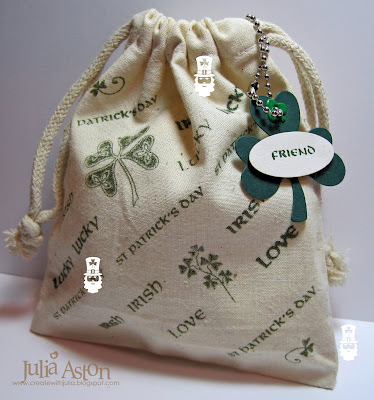 A cute little bag to give to an Irish friend! Now go check out the Waltzingmouse Forum so you can find the other St. Patrick's Day cards! 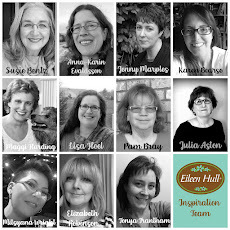 Remember to count the leprechaun's on all the DT's projects (check my pic at the top here) and post your total over at the Forum in the Play Room in the March Blog Hop Chat thread - there'll be a prize! Aren't these stubby carrots just adorable?! I found the pattern over on Split Coast. I made these to sell at my church's Easter Sale. 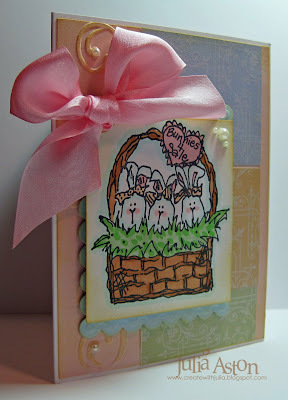 The cute little bunny is from the Lil Buddies set by Waltzingmouse Stamps. This set has the greatest sentiments to go with all the sweet little animal stamps - be sure to check it out! I used Liquid Applique on the bunnies ears and tail to give it a little fluffy dimension. 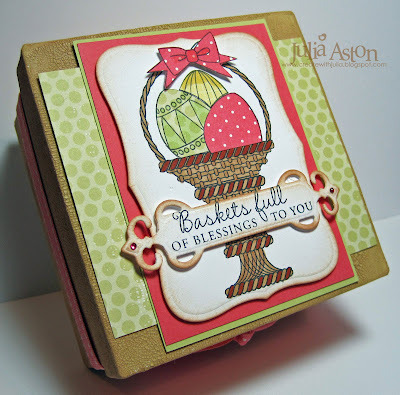 The circles I stamped on the sides are from the Faux Fun set and the sentiments are from Spring Baskets. I dotted the centers of the circles with my white gel pen to make them pop a little and I added the little butterfly around the sentiments. I colored it's wings with a gold Spica pen for a little shimmer. You can see the longer carrot boxes I made another year in my blog post here. 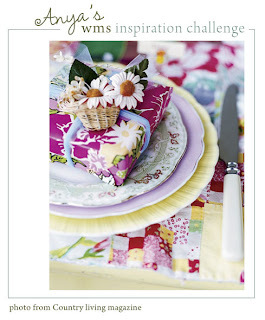 1) be sure to check out Stamping Around - WMS is sponsoring an inspiration challenge chosen by DT member Anya - and you can win Sewing Box Hugs! 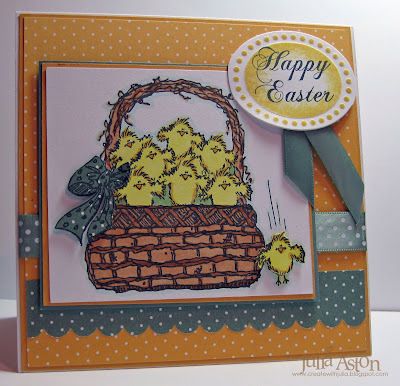 Stamps: Waltzingmouse Stamps - Lil Buddies, Faux Fun, Spring Baskets. A 70th B'day and a Basket of Chicks! 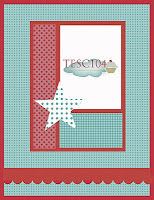 Warm Biscuit Bedding was the web site Stef showed us for the Split Coast Inspiration Challenge this week. 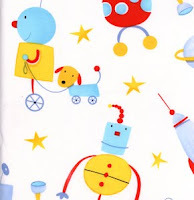 I found this cute robot material and it reminded me of the Cosmo Cricket Cogsmo paper I had. 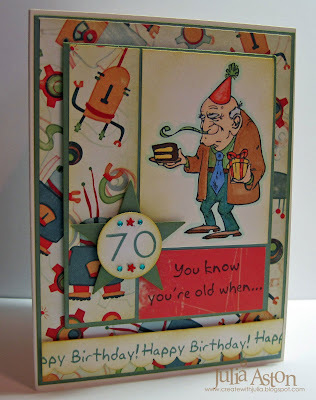 I needed a card for a 70th b'day party I was going to Saturday and thought this fun paper would help soften the blow of the old geezer and big number on the card!! LOL!!! The fun stamps are by Gina K - inside I stamped 4 sentiments from the set: "everything hurts - and what doesn't hurt doesn't work", "your birthday cake looks like baked alaska", your driver's license picture looks better than you do", your ears are hairier than your head'. Hopefully Roger is still speaking to me after he opens his card!!! 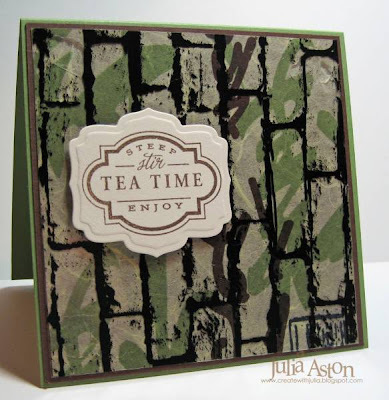 My second card today was made for the Featured Stamper challenge on Split Coast we got to check out Kristen's gallery (mommylvs2stamp). 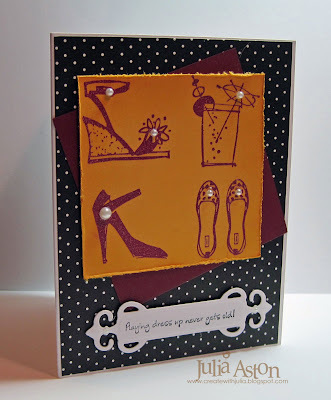 I finally chose this peek a boo card to CASE - as I really liked her layout. I changed the stamps used, the colors and I left off the bow and brads. 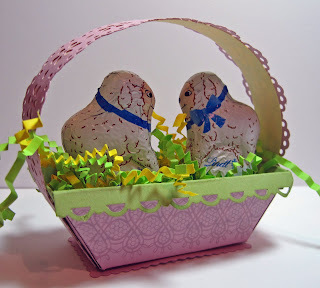 My cute little chickie basket and sentiment are from Rubbernecker Stamps I paperpieced the bow and stamped the little chick again, cut them out and popped them up for a little dimension. I colored the image with Copics. The sentiment is cut with a Spellbinders Ribbon Tag Trio 2 but I cut off the ribbon loops on the ends so it would just be an oval shape. I sponged it before taking it out of the die. 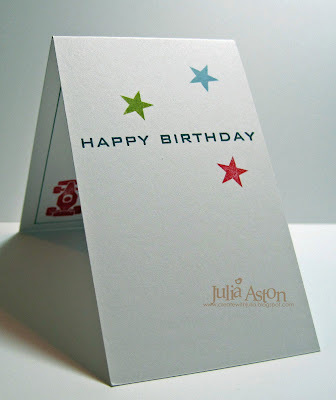 This card is a biggy at 5.5"x5.5"
AND check out here right now - she's having a give-away!! BUT YOU HAVE TO COMMENT BY SUNDAY NIGHT - hurry over! 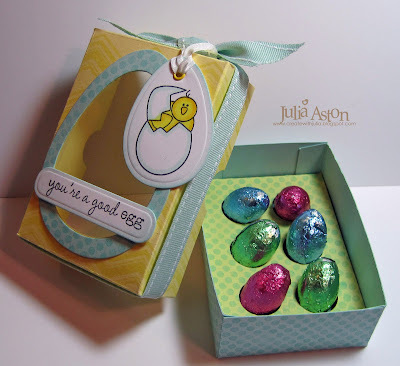 The Way's to Use it challenge over on Split Coast was to use something new - today I'm using my new Nestabilities Nested Eggs as well as my new stamp set called Lil Buddies by Waltzingmouse Stamps on this cute little Easter Treat Box! 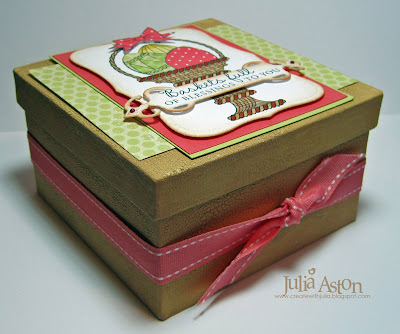 First I stamped the top of the box with a zigzag background stamp. 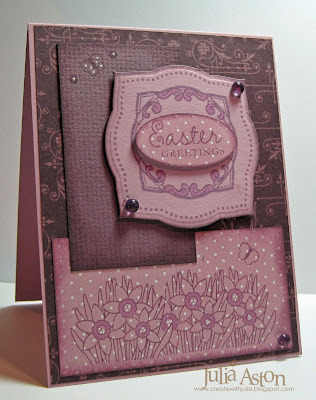 Then I stamped the egg frame, inside panel and box bottom with a dotted background stamp (Off Beat Backgrounds ) I used the Nested Eggs to cut out the center of the cover - then cut out a larger egg with the small egg inside it to make a frame around the opening. I adhered a piece of acetate inside the cover. 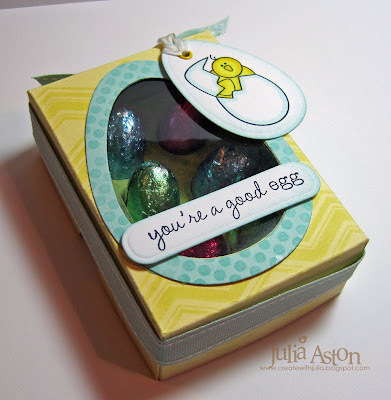 I cut another egg for the tag that I stamped with this cute little hatching chick. I added an eyelet and tied it with a narrow silk ribbon to the saddle stitched ribbon wrapped around the box. 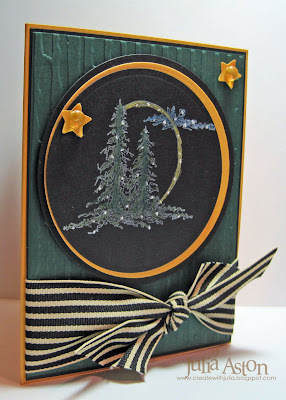 I cut the sentiment with a Labels Trio Spellbinders die. And look at the cute panel on the inside that holds the eggs! 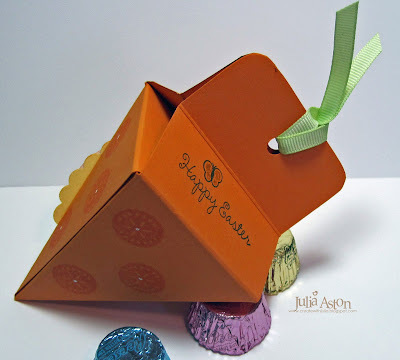 You will find Qbees Easter Egg box template in the forums over on Split Coast here. I'll be making about 9 more of these for an Easter sale at my church - I think it's just adorable don't you??! 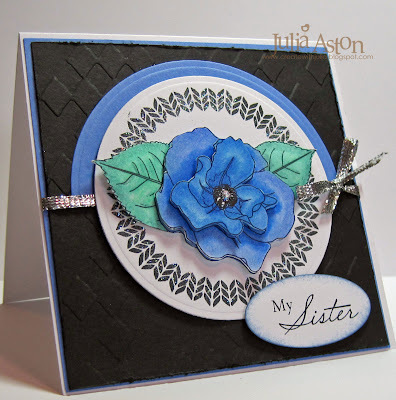 What a fun combination of Cards for a Cause Challenges over on Split Coast - For this weeks Teaparty Challenge we have to show up Aquilta the Hun with our quilting prowess and for the color challenge we need to use green, blue and raspberry. AND this month we are sending our cards (if they are pretty enough!) to Lindsay, a young mother-to-be who has been diagnosed with cancer and needs our prayers and encouragement. Some great reason to make a card huh?! 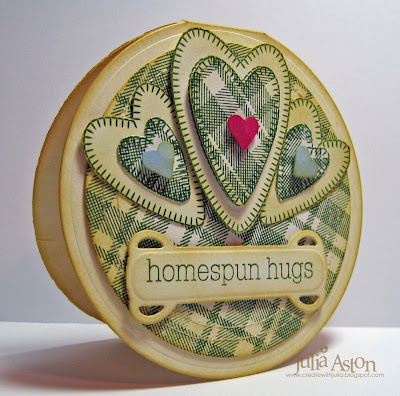 I made my plaid pattern paper using one of the stamps from Off Beat Backgrounds and the hearts and sentiment are from Sewing Box Hugs both by Waltzingmouse Stamps. The sentiment frame is Spellbinders Fancy tags but I cut the fleur de lis ends off as they were too fancy for this homespun quilt card! I sewed around the circle twice and sponged all the edges with So Saffron Ink. The heart stamps already have the stitches on them so that part was easy peasy!! 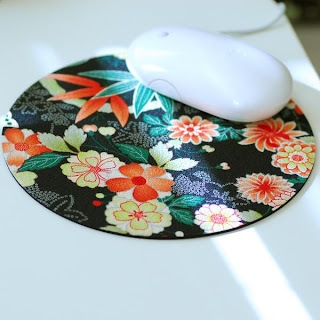 And I tucked in another challenge here - the Tuesday Trigger over at Moxie Fab World! whooo hoo!!! This was the picture to inspire us. 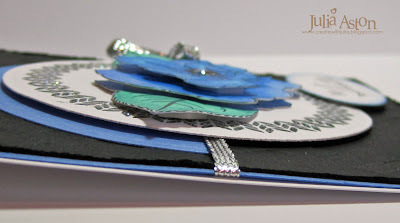 Thanks Cindy for inspiring us to be conscientious card makers! 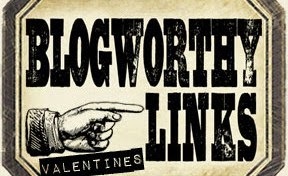 1) We're having a St. Paddy's Day blog hop over at the Waltzingmouse Forum on 3/17 and Claire has free digi images for you to use for it on her blog. 2) Remember the color challenge going on over at Stamping Around - you can win WMS Spring Baskets - you have to link your card by 3/14! 3) If you live in the NH area - check out the Stamping Around NH Event on April 16-17. I'll be teaching a class at it and so will Lauren Meader! Hurry and sign up - space is limted! 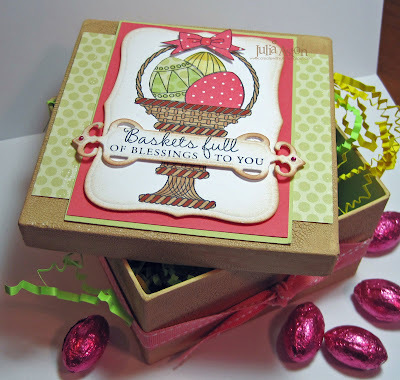 Just wanted to remind you of the WMS color challenge going on over at Stamping Around You have until March 14th to link your card/project and you could win this wonderful Waltzingmouse stamp set - Spring Baskets. 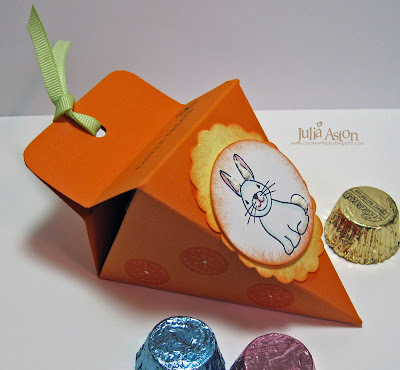 I used the challenge colors to make this little Easter Treat box. I painted the chipboard box with Ranger Antique Linen Distress Crackle paint. So what are you waiting for??!!! 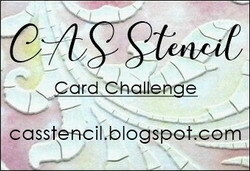 Get your color challenge card made and link it over at StampingAround! ETA: almost forgot - check out Claire's blog for her free St. Patrick's day digi images to use for the WMS blog hop on March 17th!